The computer age, with manuscripts composed and edited in word processors, and sometimes directly electronically submitted for publishing, has also been talked about as the death of the editor. Freed from a typewriter, the modern author doesn’t necessarily have to re-type his manuscript over and over just to make a few changes, and sometimes the improvements and tight narrative that develop over successive drafts is lost. 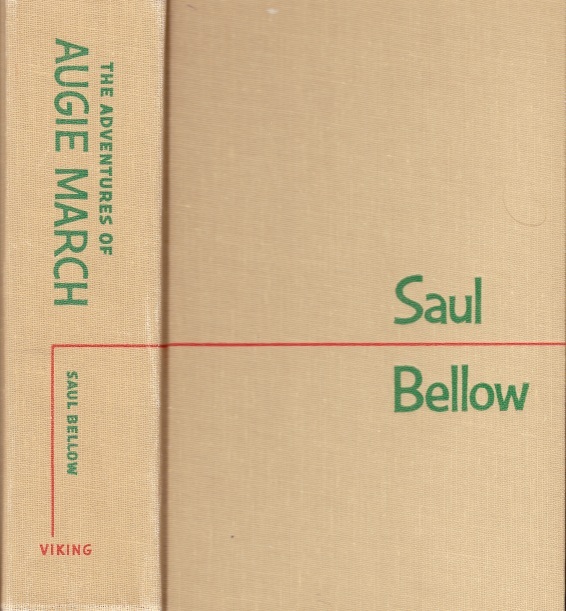 But, to demonstrate that the void of good editorial oversight existed long before the personal computer, we have books like The Adventures of Augie March. What could have been a decent and mildly amusing 200-or-so page novel is instead a 600+ page sprawling, directionless, pretentious, pointless mess. I think the question that came most to my mind is Why? – Why would a writer write a book like this, that is so lacking in introspection, reflection, or the development of character? Why write so much without saying anything? Why was I reading this? I suppose just because I’d enjoyed the other Bellow books I’ve read, and I don’t think it’s a good habit to quit on too many books partway through. Some of the sequences in Chicago were effective at evoking a location, and there were a few good turns of phrase, but this was by far overwhelmed by indulgent wordplay, scenes and characters that went nowhere, and the frustration of dealing with a main character that, even after such a long novel focused on his life, seems just like a faint mist rather than a solid character. A really disappointing, tedious read, and it’s stuff like this that gives modern literature a bad name. It must have been boring as hell just to write, and the author seems to give no consideration to the readers, to offer them anything interesting or amusing or even simply not to waste their time.